The NavePoint Height Adjustable Ergonomic Sit-stand Desk converter with Keyboard tray is the perfect solution to convert your existing desk into a standing workstation. The gas spring assist makes transitioning between sitting and standing as easy as it is quick. 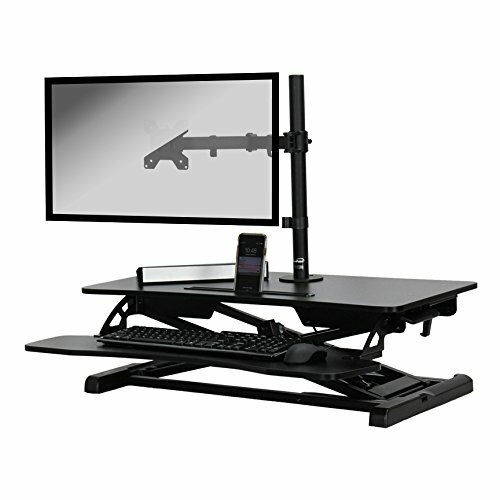 Comes with a single monitor mount that installs through the pre-cut grommet hole. Large surface area to accommodate all your devices: 31.5" x 24"